one picture a day…. everyday… for a year….. There are so many shops in Singapore of all sorts and types. Every so often one takes you by surprise. 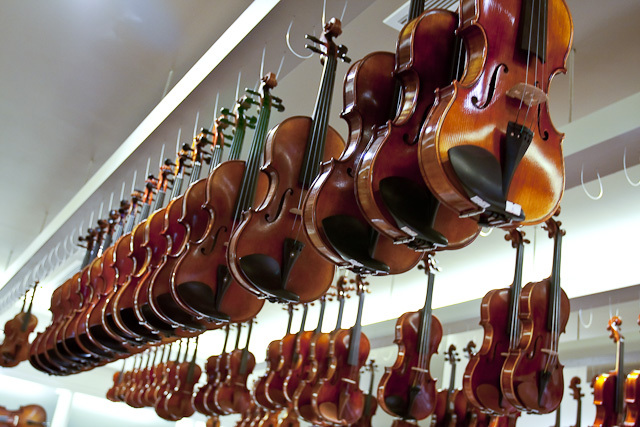 This store in the Marina Square Mall is Synwin Violins which stocks an amazing number. They are not cheap either! Christmas is in full swing and the place is heaving! It took me 25 minutes to find an available parking space. The centre was opened on 4 September 1990. With a floor area of 1,500,000 sq ft (139,355 m²), it is the fifth largest (second largest when first opened) shopping centre in the UK. It is similar in concept to the Merry Hill Shopping Centre at Brierley Hill in the West Midlands, which was completed just before Meadowhall. With over 280 stores, Meadowhall was widely blamed for the closure of many shops in Sheffield City Centre and in Rotherham. The centre attracted 19.8 million visitors in its first year of opening, and now attracts about 30 million visitors a year. 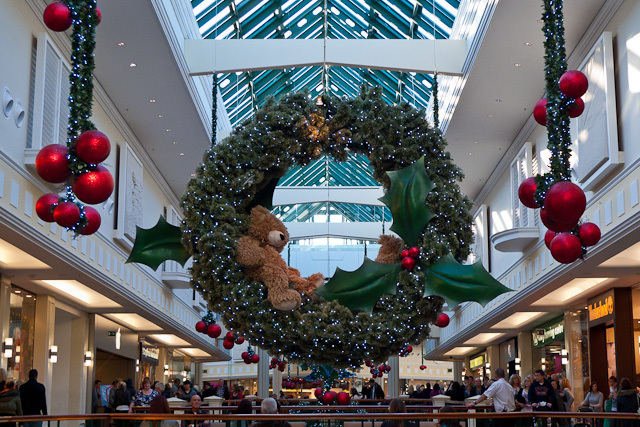 Meadowhall can be extremely busy in the run-up to Christmas, and the January sales. In extreme cases the centre has been known to have a one in, one out policy at some stores. This has led to the centre earning the nickname Meadowhell among many local people. 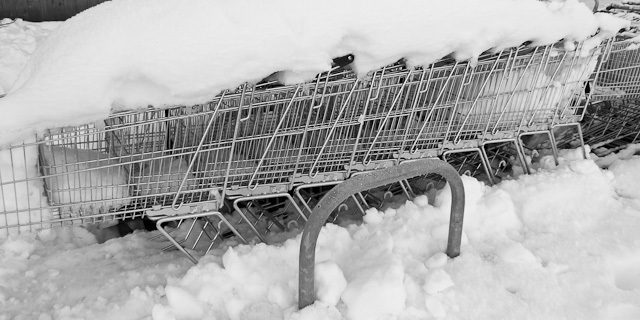 The local shops aren’t doing much business…. 5. Rob Weiher – completed! © Laurie Wilson Photography, UK and Laurie Wilson Project 365 Blog, 2010. Unauthorized use and/or duplication of this material without express and written permission from this blog’s author and/or owner is strictly prohibited. Excerpts and links may be used, provided that full and clear credit is given to Laurie Wilson Photography, UK and Laurie Wilson Project 365 Blog, 2010 with appropriate and specific direction to the original content.